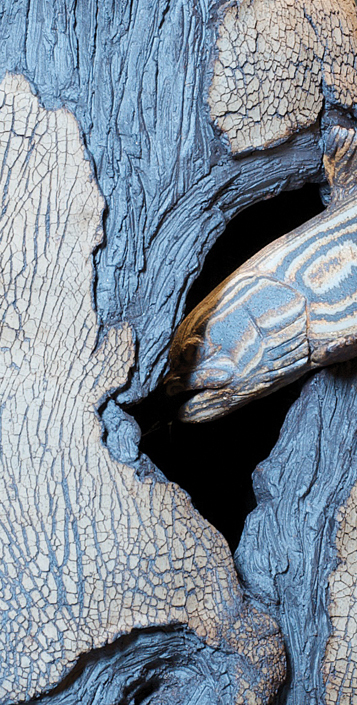 Sculptor Mark Chuck conveys a window into aquatic life with his handcrafted pieces. He meticulously places each element of each sculpture in such a way that tells a tale of underwater life. 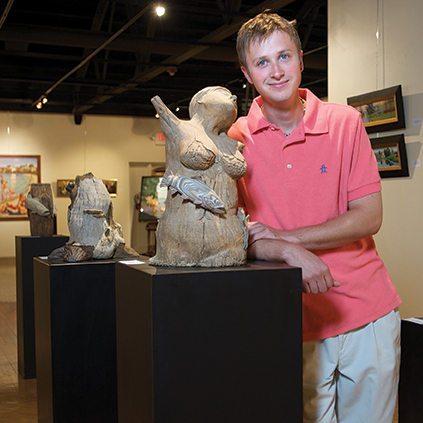 Mark received his Belin award following his graduation from college where he majored in ceramics. Mark believes that the award has greatly aided in his local and regional recognition as a ceramic artist.